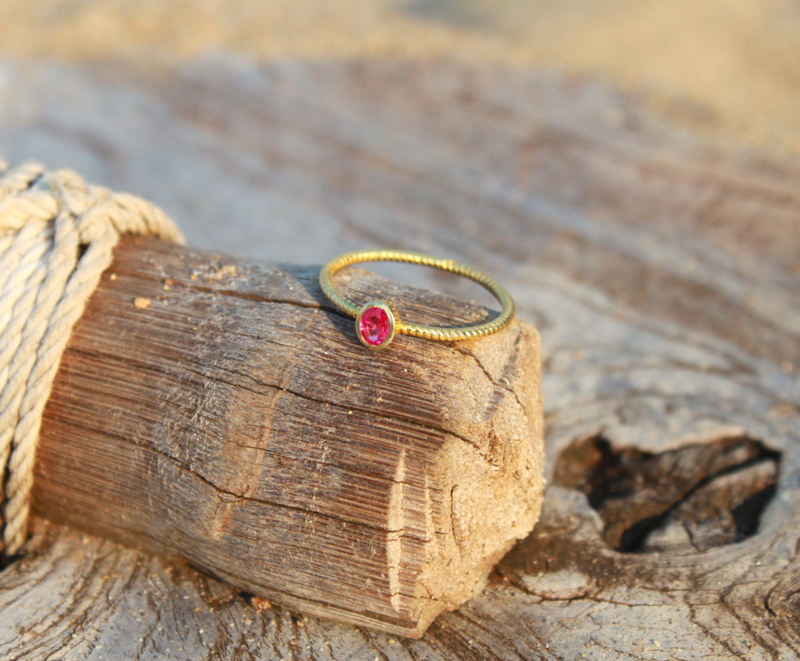 This beautiful, ethically made ring is set with a ruby, which in the ancient cultures of the orient was thought to be the most precious of all stones. It is thought to promote passion, love and prosperity. 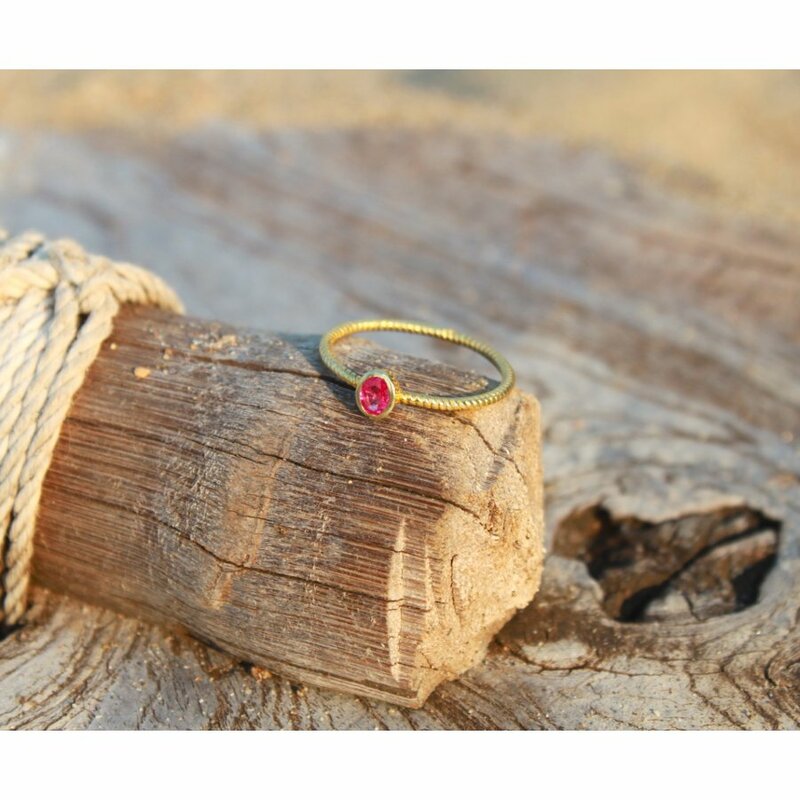 Each one of these natural, eye-catching pink hued rubies are handpicked with care and sit at the centre of this unusual, twisted 18ct gold plated ring. 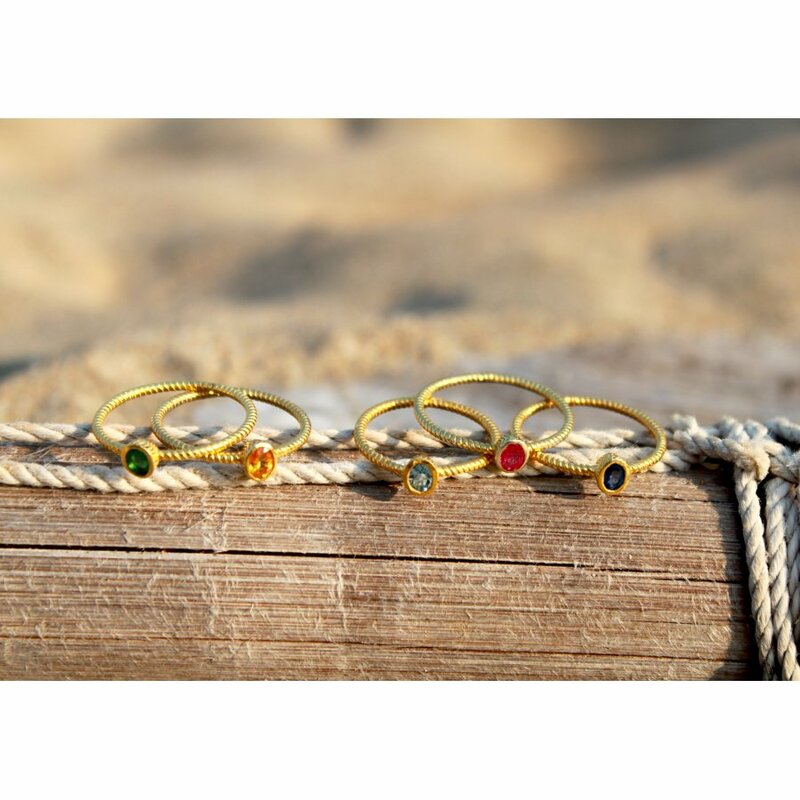 Each ring is handmade by expert jewellers in Rajasthan, India using traditional techniques. 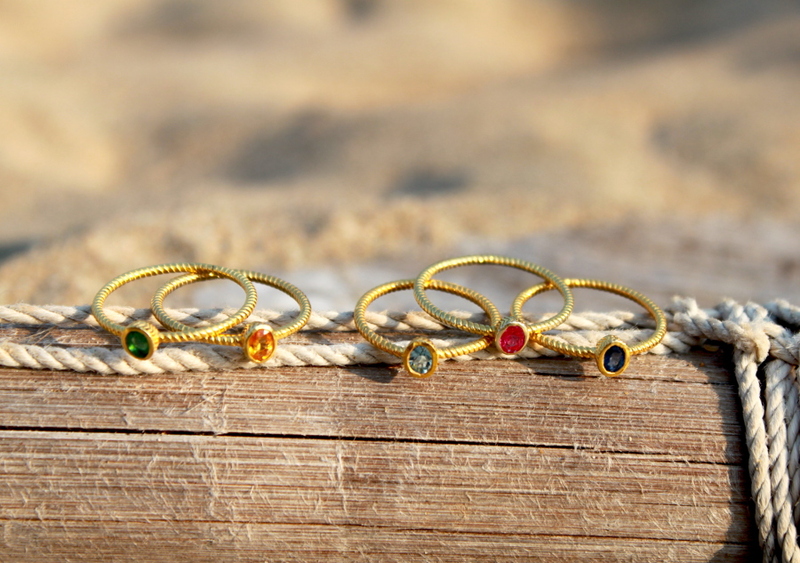 The ring looks stunning worn alone or stacked up to create a statement piece. 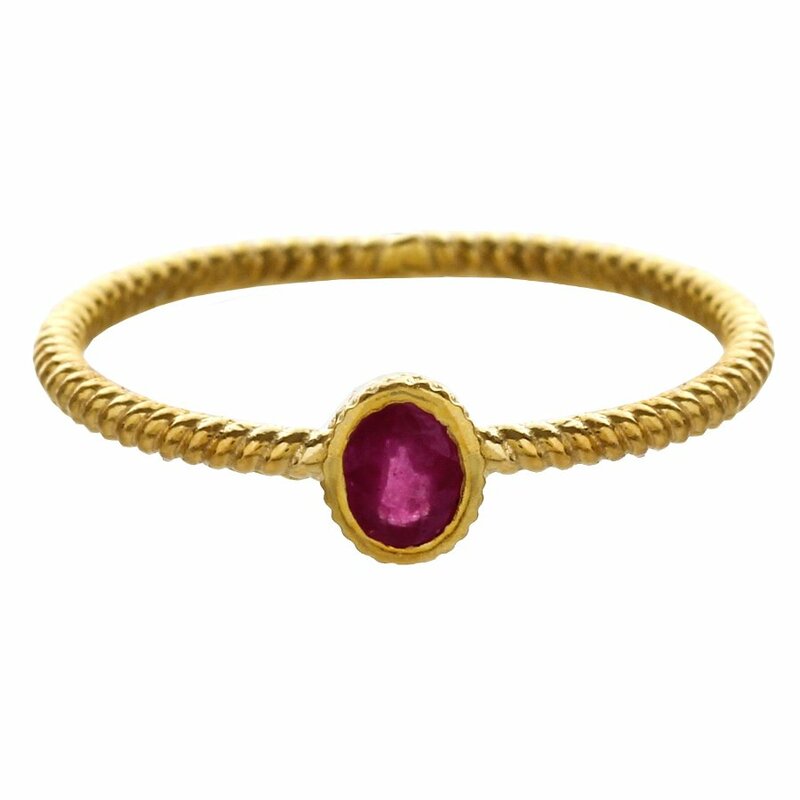 There are currently no questions to display about Marzipants 18ct Gold Ring - Ruby.